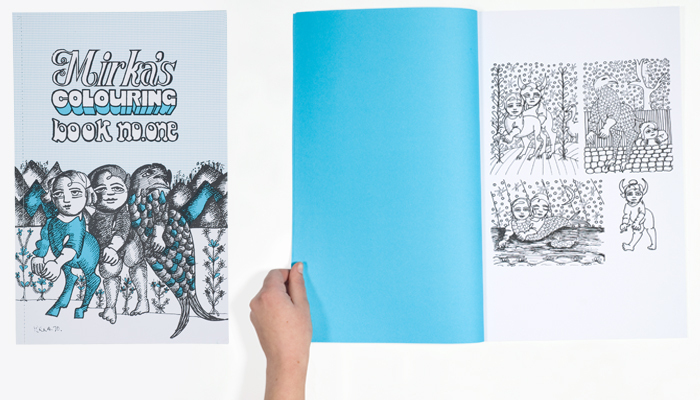 Revived and reprinted colouring book by much loved Australian artist Mirka Mora. Singer sewn binding with large scale illustrations. Set of 6 postcards representing the work of artist Callum Morton. Reproduced menu for one of many dinners held at the house of Sunday & John Reed at Heide.